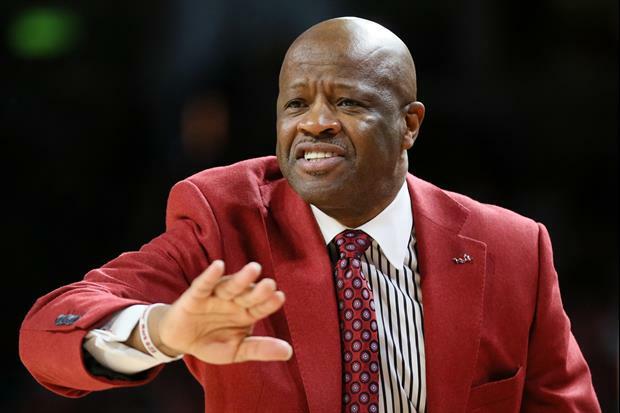 Anderson, 59, is a former Nolan Richardson assistant who returned to Fayetteville in 2011. He guided the Razorbacks to the NCAA tournament in three of the last four seasons heading into this season, but the Razorbacks struggled en route to an 18-16 (8-10 in the SEC) campaign. They also failed to reach the tourney in four of his first five seasons at the helm. Overall, Anderson went 169-102 during his time at Arkansas. They are crazy to fire this guy. He is a good coach and I was always a little anxious when we played Arkansas. He made the tournament four out of eight years and I think that is not bad for a program like Arkansas. They still think they should be dominate like they were in the basketball weak SWC. Makes the best onion rings too! LOL Our most "dominate" years were in the SEC. Having the court named in his honor is "statue" enough I'd think. If only Nolan could have been so humble. He would have stayed as long as he wanted and have statues on campus.